With over 30 years in the security business, served many years in the Central Unit of the Israeli Police, including positions in the units of drug enforcement departments. After leaving the police, Mr. Lahav acted as the security operations manager of several major Israeli companies. Brigadier General (Res.) 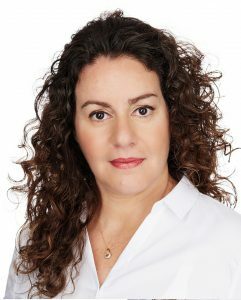 Shmaya Avieli served as the Director of SIBAT, from April 2010 till September 2014. 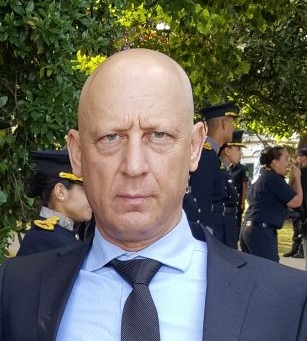 As Director of SIBAT – The Israeli Ministry of Defense agency for International Defense Cooperation– he was responsible for the direction and implementation of all matters related to the Israeli Defense Export and Defense Cooperation. Avieli was the Air Force Attaché at the Embassy of Israel in Washington D.C between August 2006 till July 2009. In this capacity he served as the liaison between the Israeli Air Force and the U.S Air Force, Navy and Marine Corps Aviation, Army Aviation as well as the Canadian Air Force. Brig. Gen. (Res.) Shmaya Avieli enlisted to the Israeli Air Force (I.A.F) in May 1979 and spent over 30 years in the Israeli Air Force service. Brig Gen. (Res.) Avieli volunteered as a cadet in flight school and in 1981 graduated with distinction as second lieutenant, while completing his training as an attack helicopter pilot. Brig Gen. (Res.) Avieli received his Bachelor degree in Economics and Agriculture from Hebrew University, Rehovot, Israel in 1992, and his Masters of Public Administration with distinction, from Auburn University of Montgomery, Alabama, in 1999 and graduated from Air War College, Maxwell Air Force Base, Alabama, in 1999. Efrat has over 20 years of extensive experience in Supply Chain Management and Consulting to large companies, in the private as well as in the public sector. Safranovich worked for the Prime-Minister Office and is also a certified Strategic Consultant for businesses. Mr. Nir Segal was a command officer in the Israeli Ground Forces and the Intelligence Corps. He serves as a reserve officer in the IDF Command and Staff College. Nir has over twenty years of experience in the retail and the media industry. He is a security expert in the field of retail, factories and agriculture. Nir holds a BA in Economics from Tel Aviv University and an MBA from Swinburne University, Australia. Former I.D.F s Chief Reserves Officer, Brig. Gen.
Van Buren led the implementation of the reform in the I.D.F’s reserve component, after the Second Lebanon War. Prior to this, Brig. Gen. Van Buren served as a reserve tank brigade commander. Brig. Gen Van Buren has a law degree and acts as a lawyer in his civilian life while serving in the I.D.F s reserves. Oded Raz, is a former senior ranking security official of the Israeli Security Agency (ISA). His most recent position with the ISA was as deputy head of the protection and security division. Mr. Raz advises clients on strategic tactics for security preparedness and assists in both identifying alternative uses for technologies to enhance homeland security and integrating them into the security marketplace, aviation security, infrastructure security, maritime security and urban security. Since joining the ISA in 1987, Mr. Raz held a number of additional positions, including regional security director – Europe; head of department for directing and regulating security in Israel and abroad; head of the department for the protection of information and critical infrastructures. The design of the Ben Gurion Airport security program. Determining the criteria for securing Israel embassies and other Israeli offices all over the world. Mr. Raz holds a bachelor’s degree in history and a master’s degree in political science specializing in national security from the University of Haifa in Israel. Be prepared, train, practice, always fight back and never surrender. © 2019 All Rights Reserved to SLS Consultancy & Training Ltd.